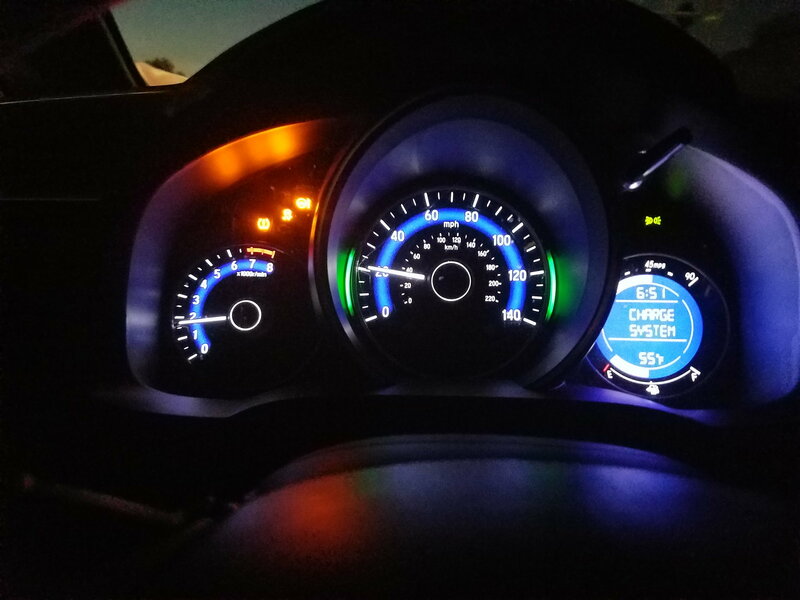 So after a week or so installing my SiriusLed MX series bulbs, the 'check charge system' and warning lights go off intermittently. I did some research and saw this possible culprit is either bad battery or bad alternator. Before I could start troubleshooting those two components, I first replaced the lowbeam bulbs, after 2 days, the warning notice stop going off. Has anyone exeperienced anything similar? I bet the LEDs are drawing too much power off the alt/bat. Im wondering if upgrading to a 51R battery will eliminate the warning trigger given the car has 51xxx miles now. I also dont think there is a loose connection somewhere, i might be wrong! Thanks in advance FF! Last edited by TougeMonster_GK5; 11-03-2017 at 01:06 PM. Wonder if there's an internal short in one of the bulbs? Don't know what to tell you, I have the same bulbs as you and no problems. Last time I saw that charge system message, I replaced a blown fuse to my horns, disconnected the battery monitor connector (that's connected to your negative battery terminal) reconnected and never saw the message again. I didn't get the other warning lights that you got. I’m running an older set of sirius leds and haven’t had a problem yet. I doubt the LEDs would draw more power than the stock incandescent bulbs. Could take an ammeter and check the current draw of those bulbs via the fusebox. I ran into this problem (check charge system + lights) at 50k miles. Checked the battery and it was charging just fine. I drove it for like 5000 miles after that and it was OK. I found a $50 junkyard alternator and replaced it. Light went away. Just last week at 90k miles had the same thing happen. Replaced it again and the light went away. I bought the alternator for $50. New belt was like $15 from orielly's. No special tools, just socket wrenches (17mm tensioner) and sweat. Last edited by Kevin Evans; 11-23-2017 at 12:09 AM. huh, alternator only lasts 50k miles? dang.. good reason to sell the GK early, thanks! sounds good touge! hope it's cured. How to replace rear defrost button light? Battery terminal corrosion replacement, dealer taking advantage of wife?